This affordable and spacious home comes with a separate in-law apartment that features features a kitchen and living area, full bath and a full basement. This space was once a craft store and has great potential for limited commercial opportunities. The main house has a fabulous kitchen with lots of cabinets and a nice sitting area. It also features a dining room, a large living area, 4 bedrooms and a full bath. There is a private back deck that overlooks the beautiful backyard with gardens and a large lawn area. In addition this home comes with a 2 car garage and a new septic system will be installed prior to closing. All this for only $169,000! 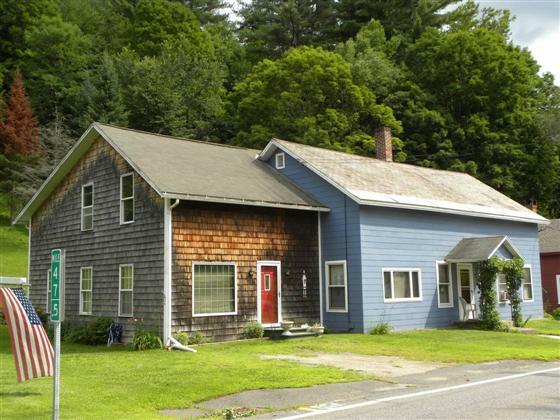 Conveniently located near Shelburne Falls and 20 minutes to Greenfield. Call today for a showing appointment.